Hydrophor Dry Skin Lubricating Ointment Colorless 100 gram provides long-lasting moisturization and has been formulated to help anyone suffering from dry skin. 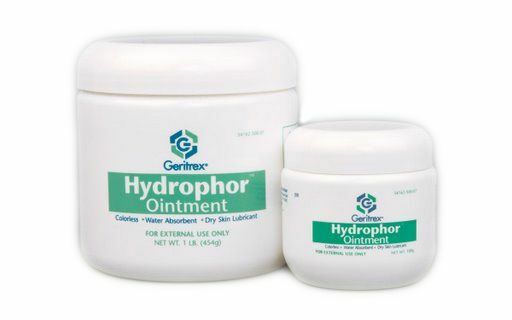 Hydrophor contains no fragrances or preservatives that can irritate skin. Hydrophor Dry Skin Lubricating Ointment Colorless 100 gram provides long-lasting moisturization and relief of severely dry skin. It works by creating a protective barrier that conditions skin as it prevents moisture loss. Hydrophor is dermatologist recommended. Treats severely dry, cracked or chafed skin. Can be used for minor scrapes and burns. Is used on dry skin associated with atopic dermatitis. For sensitive skin and diaper rash.